Ismail al-Wahwah is an Islamist cleric and leader of the Australia chapter of the international Islamist proselytization organization Hizb ut-Tahrir (HT). Former Australian Prime Minister Tony Abbott has accused HT of nurturing “extremism in our suburbs.”Michael Safi, “Hizb ut-Tahrir insists it rejects violence following Abbott’s ‘desperate’ accusation,” Guardian (London), February 19, 2015, http://www.theguardian.com/australia-news/2015/feb/20/hizb-ut-tahrir-insists-it-rejects-violence-following-abbotts-desperate-accusation. Al-Wahwah traveled to Syria in 2013 to preach the necessity of erecting a global caliphate and “[supporting] the blessed uprising.”Geoff Chambers, “Sheikh Ismail al-Wahwah: A sinister player in a world of radicals,” Daily Telegraph (Sydney), October 10, 2014, http://www.dailytelegraph.com.au/news/nsw/sheikh-ismail-alwahwah-a-sinister-player-in-a-world-of-radicals/story-fni0cx12-1227085769758. He has made fiery anti-Western, anti-Semitic, and anti-capitalist statements, and believes that Western “civilization will pay the price” for its criminal politicians. Al-Wahwah has called for a new “world order” and has promised to send “troops to Australia, to France to Germany” just as Western countries “send their troops to Iraq to bomb Iraq to spread democracy.”Ben McClellan and Geoff Chambers, “Radical Muslim cleric Ismail al-Wahwah tells supporters a new world order is coming,” Daily Telegraph (Sydney), October 11, 2014, http://www.dailytelegraph.com.au/news/nsw/radical-muslim-cleric-ismail-alwahwah-tells-supporters-a-new-world-order-is-coming/story-fni0cx12-1227086878686. 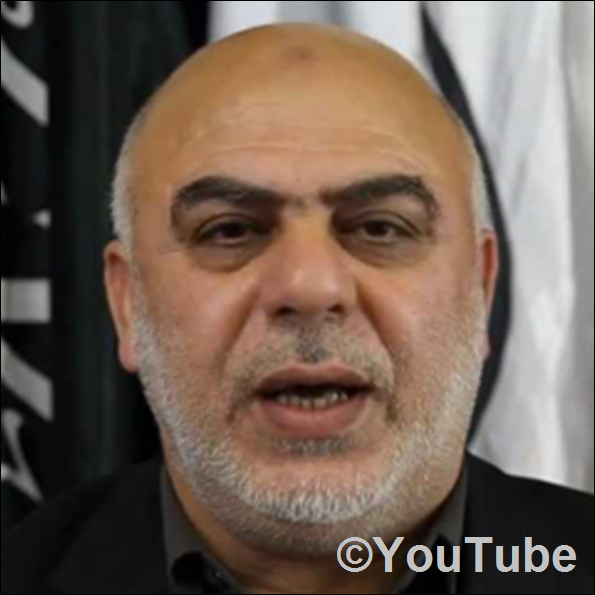 He has also called for jihad against Jews in Israel, whom he considers to be “illegitimate occupiers”“Muslim extremist Ismail Alwahwah anti semitic lecture,” News.com.au, March 9, 2015, http://video.news.com.au/v/313805/Muslim-extremist-Ismail-Alwahwah-anti-semitic-lecture. and the “most evil creatures of Allah.”Louise Cheer, “’They will pay with blood’: Islamic leader’s online rant calling the Jewish people ‘the most evil creatures of Allah,’” Daily Mail (London), March 12, 2015, http://www.dailymail.co.uk/news/article-2991638/They-pay-blood-Islamic-leader-s-online-rant-calling-Jewish-people-evil-creatures-Allah.html. Al-Wahwah believes Australia is part of a U.S.-led “crusader invasion” targeting the Muslim world.Ben McClellan and Geoff Chambers, “Radical Muslim cleric Ismail al-Wahwah tells supporters a new world order is coming,” Daily Telegraph (Sydney), October 11, 2014, http://www.dailytelegraph.com.au/news/nsw/radical-muslim-cleric-ismail-alwahwah-tells-supporters-a-new-world-order-is-coming/story-fni0cx12-1227086878686. He justified the January 2015 attacks on French satirical magazine Charlie Hebdo as “a cure” for relieving pressure caused by “daily humiliation” of Muslims and “insults to their book and prophet.”Taylor Auerbach, “Charlie Hebdo terrorist attacks a ‘cure,’ says leader of Hizb ut-Tahrir Australia Ismail Alwahwah,” Daily Telegraph (Sydney), January 13, 2015, http://www.dailytelegraph.com.au/news/nsw/charlie-hebdo-terrorist-attacks-a-cure-says-leader-of-hizb-ut-tahrir-australia-ismail-alwahwah/story-fni0cx12-1227182578266. Al-Wahwah has also been seen at past HT events with Man Haron Monis, the Islamist who took more than a dozen people hostage at a Sydney café in December 2014.Dan Kedmey and David Stout, “3 Dead After Police Storm Sydney Café to End Hostage Crisis,” Time, December 15, 2014, http://time.com/3633134/sydney-hostage-martin-place-lindt-cafe-terrorism/; Taylor Auerbach, “Lindt cafe gunman Man Haron Monis was honoured guest at Hizb ut-Tahrir’s Lakemba hate-fest,” Daily Telegraph (Sydney), March 17, 2015, http://www.dailytelegraph.com.au/news/nsw/lindt-cafe-gunman-man-haron-monis-was-honoured-guest-at-hizb-ut-tahrirs-lakemba-hate-fest/story-fnpn118l-1227265393578. Hizb ut-Tahrir operates legally in Australia, where al-Wahwah’s views remain protected speech. Former Prime Minister Tony Abbott called for the group to be banned, but such efforts failed there and in other Western countries that host HT chapters. Al-Wahwah responded that countries that had banned HT had failed to stop the group’s operations in those countries. Abbott would have to “prevent the flow of air” to stop HT, al-Wahwah has said. Geoff Chambers and Sarah Crawford, “Extremist group Hizb ut-Tahrir sends veiled threat to Prime Minister Tony Abbott,” Daily Telegraph (Sydney), February 10, 2015, http://www.dailytelegraph.com.au/news/nsw/extremist-group-hizb-ut-tahrir-sends-veiled-threat-to-prime-minister-tony-abbott/story-fni0cx12-1227213869800. Abu AnasBen McClellan and Geoff Chambers, “Radical Muslim cleric Ismail al-Wahwah tells supporters a new world order is coming,” Daily Telegraph (Sydney), October 11, 2014, http://www.dailytelegraph.com.au/news/nsw/radical-muslim-cleric-ismail-alwahwah-tells-supporters-a-new-world-order-is-coming/story-fni0cx12-1227086878686. Ismail al-Wahwah is an Islamist cleric and leader of the Australia chapter of the international Islamist proselytization organization Hizb ut-Tahrir (HT). “Palestine cannot contain the Muslims and the Jews. It belongs to the local people. The Jews should not be in Palestine and will not remain there. Any Jew living in Palestine is an illegitimate occupier. He is a target of jihad and will end up in the garbage bin of history. This holds true for all the Jews in Palestine. It makes no difference whether a Jew is pro-peace or pro-war, whether right-wing or left-wing, any Israeli living in Palestine is an occupier and serves as a target for the jihad of the Islamic nation. If you don’t like it, take your passport and go back where you came from.”“Muslim extremist Ismail Alwahwah anti semitic lecture,” News.com.au, March 9, 2015, http://video.news.com.au/v/313805/Muslim-extremist-Ismail-Alwahwah-anti-semitic-lecture. “The Jews are the most evil creatures of Allah. Moral corruption is linked to the Jews. They will pay with blood for blood, with tears for tears, and with destruction for destruction.”Louise Cheer, “’They will pay with blood’: Islamic leader’s online rant calling the Jewish people ‘the most evil creatures of Allah,’” Daily Mail (London), March 12, 2015, http://www.dailymail.co.uk/news/article-2991638/They-pay-blood-Islamic-leader-s-online-rant-calling-Jewish-people-evil-creatures-Allah.html. “You will be successful in banning ideas and their spread when you are able to prevent the flow of air itself.”Geoff Chambers and Sarah Crawford, “Extremist group Hizb ut-Tahrir sends veiled threat to Prime Minister Tony Abbott,” Daily Telegraph (Sydney), February 10, 2015, http://www.dailytelegraph.com.au/news/nsw/extremist-group-hizb-ut-tahrir-sends-veiled-threat-to-prime-minister-tony-abbott/story-fni0cx12-1227213869800. “Woe, time and gain, to all those who point the finger at any pressure when it gets a blast from the Muslims, regardless of size… For the accusation is ready; You justify the explosion, you justify terrorism.”Taylor Auerbach, “Charlie Hebdo terrorist attacks a ‘cure,’ says leader of Hizb ut-Tahrir Australia Ismail Alwahwah,” Daily Telegraph (Sydney), January 13, 2015, http://www.dailytelegraph.com.au/news/nsw/charlie-hebdo-terrorist-attacks-a-cure-says-leader-of-hizb-ut-tahrir-australia-ismail-alwahwah/story-fni0cx12-1227182578266; Ismail Alwahwah, “Commentary on Charlie Hebdo and the Physical Law of Compression,” Proposition Revival, January 10, 2015, http://propositionrevival.com/2015/01/10/commentary-on-charlie-hebdo-and-the-physical-law-of-compression/. “Woe, time and gain, to all those who point the finger at any pressure when it gets a blast from the Muslims, regardless of size…...For the accusation is ready; You justify the explosion, you justify terrorism.” Taylor Auerbach, “Charlie Hebdo terrorist attacks a ‘cure,’ says leader of Hizb ut-Tahrir Australia Ismail Alwahwah,” Daily Telegraph (Sydney), January 13, 2015, http://www.dailytelegraph.com.au/news/nsw/charlie-hebdo-terrorist-attacks-a-cure-says-leader-of-hizb-ut-tahrir-australia-ismail-alwahwah/story-fni0cx12-1227182578266. “They send their troops to Iraq to bomb Iraq to spread democracy. We will send our troops to Australia, to France to Germany.”Ben McClellan and Geoff Chambers, “Radical Muslim cleric Ismail al-Wahwah tells supporters a new world order is coming,” Daily Telegraph (Sydney), October 11, 2014, http://www.dailytelegraph.com.au/news/nsw/radical-muslim-cleric-ismail-alwahwah-tells-supporters-a-new-world-order-is-coming/story-fni0cx12-1227086878686. “We believe the world deserves another world order. We are ready to sacrifice everything for our concept.”Ben McClellan and Geoff Chambers, “Radical Muslim cleric Ismail al-Wahwah tells supporters a new world order is coming,” Daily Telegraph (Sydney), October 11, 2014, http://www.dailytelegraph.com.au/news/nsw/radical-muslim-cleric-ismail-alwahwah-tells-supporters-a-new-world-order-is-coming/story-fni0cx12-1227086878686. “We will expose the true face of capitalism, a dictatorship in the name of freedom. To do a change you have to pay price. Politics in lying, your politicians are criminals, your government is criminal. Your civilization will pay the price.”Ben McClellan and Geoff Chambers, “Radical Muslim cleric Ismail al-Wahwah tells supporters a new world order is coming,” Daily Telegraph (Sydney), October 11, 2014, http://www.dailytelegraph.com.au/news/nsw/radical-muslim-cleric-ismail-alwahwah-tells-supporters-a-new-world-order-is-coming/story-fni0cx12-1227086878686. “Oh Jews, nobody will give you peace.”Taylor Auerbach, “Hizb ut-Tahrir leader Ismail Alwahwah calls for jihad against Jews in inflammatory video,” Daily Telegraph (Sydney), March 9, 2015, http://www.dailytelegraph.com.au/news/nsw/hizb-ut-tahrir-leader-ismail-alwahwah-calls-for-jihad-against-jews-in-inflammatory-video/story-fni0cx12-1227255217347. “The entire world suffers from the children of Israel today and complains about them. Who will set the world free from the children of Israel so that the world will be able to say that it has rid itself of that hidden evil? This mission will be accomplished by none but you, O Muslims… The ember of jihad against the Jews will continue to burn. The struggle and the jihad will continue until the words of Allah come true.”Taylor Auerbach, “Hizb ut-Tahrir leader Ismail Alwahwah calls for jihad against Jews in inflammatory video,” Daily Telegraph (Sydney), March 9, 2015, http://www.dailytelegraph.com.au/news/nsw/hizb-ut-tahrir-leader-ismail-alwahwah-calls-for-jihad-against-jews-in-inflammatory-video/story-fni0cx12-1227255217347. “That is the duty of the caliphate – to implement Islam internally and carry the light of Islam to the rest of the world. How? Not with flowers. It was the army of Muslims, which started from Al-Madina, and they went to China, India, and Al-Maghreb. That is jihad.”“Ismail Al-Wahwah, Spokesman Of Hizb Ut-Tahrir In Australia: We Will Establish The Caliphate, Instate The Shari'a, And Make Arabic The Official Language,” Middle East Media Research Institute, January 6, 2013, http://www.memri.org/report/en/0/0/0/0/0/0/6911.htm. “Russia knows that Muslims will knock on their doors in Moscow. They know that the armed Muslim army will knock on their doors in Moscow again. That’s why Russia is doing this big job [of supporting Syrian President Bashar Al-Assad], not only because America is giving them the green light, but because they have their own interest – not to allow Islam to come back.” “Ismail Al-Wahwah, Spokesman Of Hizb Ut-Tahrir In Australia: We Will Establish The Caliphate, Instate The Shari'a, And Make Arabic The Official Language,” Middle East Media Research Institute, January 6, 2013, http://www.memri.org/report/en/0/0/0/0/0/0/6911.htm. “All forbidden things in the caliphate will be stopped from day one. In the economic system, there will be no usury. We will close the banks from day one. From day one, alcohol and all forbidden things will stop. Now, to change the manufacture [of wine] to juice does take time, but alcohol will be thrown out from day one. Fornication, whatever, that will all stop. On the streets, there will be only the shari’a dress code. Anyone – Muslim or non-Muslims… A Muslim street has to be like that.”“Ismail Al-Wahwah, Spokesman Of Hizb Ut-Tahrir In Australia: We Will Establish The Caliphate, Instate The Shari'a, And Make Arabic The Official Language,” Middle East Media Research Institute, January 6, 2013, http://www.memri.org/report/en/0/0/0/0/0/0/6911.htm. “The current crusader invasion led by America and the previous onslaughts target Islam and Muslims. And America fabricates narratives and seeks justifications to cover up its crimes and real motives.” (Facebook post)Ben McClellan and Geoff Chambers, “Radical Muslim cleric Ismail al-Wahwah tells supporters a new world order is coming,” Daily Telegraph (Sydney), October 11, 2014, http://www.dailytelegraph.com.au/news/nsw/radical-muslim-cleric-ismail-alwahwah-tells-supporters-a-new-world-order-is-coming/story-fni0cx12-1227086878686.